Hey friends! I am really excited right now! As I mentioned in my New Year’s post, I am on the official countdown to turning in my full Boy Mom Book manuscript in April. April may sound far away, but as all busy moms know, it will be here in the blink of an eye! The good news is, I’ve been working on this book since last May. And I’m so thankful that this first book contract has offered me such a reasonable schedule. Because life is so full for my family right now, it’s a huge blessing to be able to take my time writing, while still being a fabulous mostly decent mom. My writing process has, of course, included a lot of research, and reading. (My agent finally cut me off from ordering any more parenting books, haha) But nothing has been more helpful to me than learning from families I have great respect for, and the experiences I’ve had raising my own four sons. And more: The feedback I get from you — here on the blog and through emails and social media-– has been incredibly beneficial to my writing. Because of you, I better understand the challenges, hopes and dreams that real people, raising real kids are facing today. This means more to me than any University research or fancy statistics I could find. So if you’re a #boymom, I’m asking for your help now! (Girl moms are welcome here too, please simply let me know.) Please comment on any of the topics that grab your attention or seem relevant to parenting journey! Today’s topic is one I recently put out on my Facebook page. It got a great response there, so I decided to camp out on it a bit more. When it comes to raising a HEALTHY SON (who we hope will grow up to be a healthy adult,) what are your greatest challenges, or concerns? Keep in mind: Your son’s health includes his diet, exercise, and hygiene, as well as his emotional and social health. (Spiritual health will be a separate topic.) I would love to hear from you, no matter how young or old your son is, on any of these things. — Is it a battle to get him to floss his teeth? Eat his veggies? Is your son good at handling his emotions, or not? Does your son get enough sleep, fresh air, and exercise? Whether it’s acne, anxiety, or nose picking, I want to know. Finally, with each topic I throw out, it seems only fair to leave you with at least one little nugget that may or may show up in the book itself. A little advice, wisdom, or experience from my end! *In addition, she said they should also name three things they are grateful for each day. Love to you all, and can’t wait to read your comments! PS I would be so honored and very grateful if you would share this post with your friends! The more input I get, the better my book will be! Mahalo! Our boys were adopted from the foster care system and due to meth exposure in utero, they have serious emotional dysregulation and other behavior/sensory issues. They’re 12 and 10 and I’m fearfully bracing for the teen years! We’ve put off medicating them by homeschooling and 2 of our young adult daughters who still live at home help share the load of working with them since I have a chronic illness. ADHD, autism, allergies, and asthma all seem on the rise as well as suicide, depression, and other mental disorders. The health side of things has gotten so crazy as our world has gotten increasingly toxic. We eat organic, clean, and unprocessed for the most part to try to maximize their chances at healing their brains but it’s so hard to keep them away from the junk out there at social events, church, etc. How do we help them understand the importance of good nutrition and avoiding toxins without being that neurotic overprotective mom we don’t want to be?? I’m a single mom to two (adopted) boys, and a foster mom to countless other boys (and girls!). 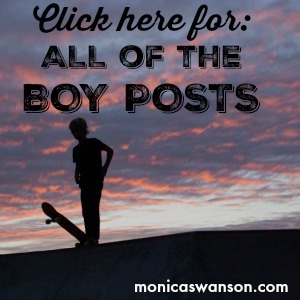 I struggle mostly with boys acting like, well….boys. Farting, burping, punching each other (in fun, not anger), wrestling, not caring if they stink, competition (every.single.thing is a competition) etc. Finding the line between being normal, healthy growing boys and boys who are out of control is a fine line I always walk. Not having a father in the house who says “oh leave them alone, they’re fine”, makes me constantly question whether I should stop them or let them continue. Lucky for me, I still hold the record for longest/best/most amazing burp in our home, so there is that at least! I am currently struggling with my 12-year-old son. I have two others (10 and 1 year). He is very bright but has never made friends easily. He began middle school this year and it has been ROUGH. The lack of friends weighs on him heavily. He relates to adults because of his interests (he is very interested in current events, history and technology) but is not a sports guy at all which around here is what seems to unify the kids. I believe this hurt contributes to his negativity which in turn makes him a less desirable friend and so the neverending cycle continues. I would love to know how to combat this without being a helicopter mom setting up “play dates”. He’s not the only boy with those interests. It’s imperative that he find the others. Reward participation in clubs, etc. where he can find kids with similar interests. I was like him and didn’t. It was terrible. I also had a foster son like him who connected with an intellectual track coach, got into sports, excelled without a natural ability and learned so much like commitment, determination, etc. and is still excelling, now academically. Hope this helps. Sounds kind of silly, but shaving was a big deal in our home. We have 3 boys (17,16,13), and each of them responded differently to shaving. Our first wanted nothing to do with it. It seemed like he felt that with his first shave he would be officially leaving childhood behind (and he wasn’t looking forward to adulthood). We had to come to the point where we had to force him at age 16 to shave. Thankfully we gave him time and grace and he saw that our “forcing” him was in love and he agreed. Our middle son could care less about the whole shaving thing. Our youngest who is 13 wants to shave now. It’s like he can’t wait (I believe it is so he can be like his big brothers). We have to put the brakes on him a bit. So, there, shaving has been a big hygiene issue in our home! So interesting!! Thanks for sharing, Kim! We’ve had similar unique reactions in our boys, and glad you mentioned that as a reminder to include…It’s a funny topic that does represent a milestone to boys!! 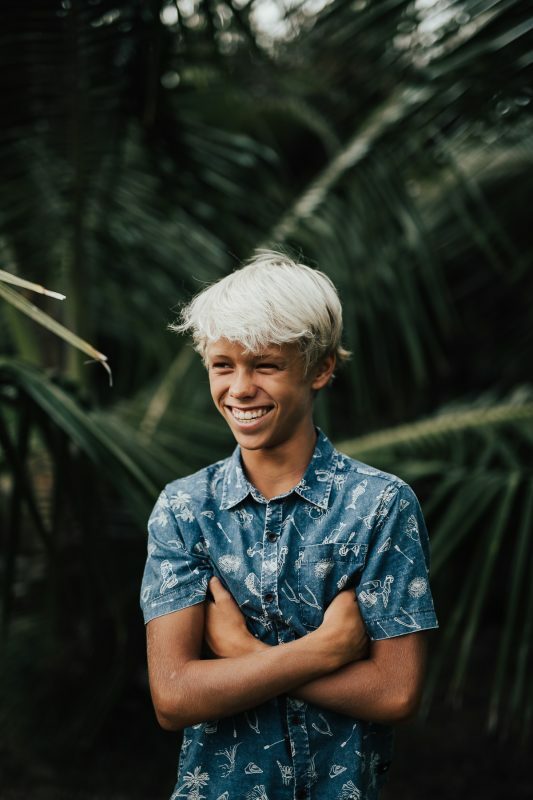 Much aloha and thank you for taking the time to comment! I am a mum of a 24 year old boy and also a high school teacher. On the topic of health, a big one is sleep. 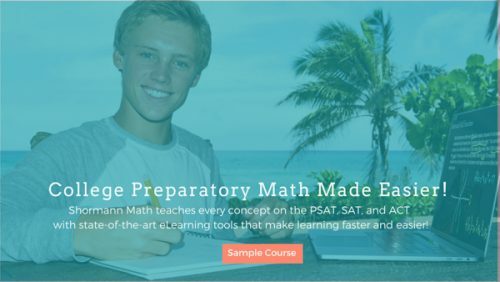 Even though I specifically taught my students about brain smart decisions (sleep, exercise, diet), and they could understand how much they needed it, in reality they struggle to get it. For many of them they are on their devices in bed at night texting friends and engaging in chats and they can be doing this until 1 or 2 in the morning. They don’t have the luxury of a sleep in as they have to get up to school the next day, and their bodies, emotions and ability to learn suffers. Drugs and alcohol and how to handle situations in which these are offered is also a big one. Also handling their emotions around break ups is also huge. Hope that is of some use! Two, most academics come easy to him so when they don’t, he struggles to put the effort in. I know this can’t just be him but since he’s my only child dealing with this, I don’t know how to help him. He also gets very defensive and frustrated when I try to help. This means he often times doesn’t want to try new things that he already believes he’ll fail in. Again, I know we can’t be alone in this. Three is a biggie, and I really struggle with it… My son’s father decided that he wanted another woman more than he wanted my son and I while I was still pregnant, therefore we divorced. My son doesn’t know this about his father. My ex then married and then divorced this other woman, is now living with another woman, and trying to lure my son to live with them (sorry for the drama). Our household has rules, as any should, that includes chores, the idea that you’ll get a job and buy your own car while I’ll pay car insurance, that you’ll get good grades, eat decent foods, not watch R-rated movies, can’t play video games all day, etc. At his father’s house, any and everything goes because his father is trying to “buy his love”. All that to say, the struggle is in finding the balance in raising my son to love his father yet help him to understand that he (my ex) is not looking out for his (my son’s) best interests, AND raising my son to be a good man who does not turn out like his father, who turned out just like HIS father. Whew! Did you get all of that? Again, I didn’t mean to go into drama, but I know that so many of us moms are trying to raise our sons without their fathers and sadly oftentimes, while in a battle with their fathers. Thanks for reading all of this. I hope this helps and didn’t drag things in the mud! Mom of 8 boys here. Zero girls. When people hear that they either have a “wow” look on their face or one of pity. Whatever. I’m so over that. Boys are great and I’m super proud of my 8 fine young men (ages 17-1). So many stories. Feel free to email me and ask anything you want. I can connect with what you are saying. I only have four boys (3-10) and resonate with the reactions of people who feel a family is inferior without a girl. The reactions used to bother me, and the dumb comments made (I.e. I’m sorry, or are you going to try for a girl?). However, ever since I came up with a good response, the comments just roll off now. My automatic response now is, “The world needs good men!”😊 (With the biggest smile you can muster!) It changes their entire demeanor. Their response is usually “oh! Yes you are right”. Darn straight I’m right! (I don’t actually say that response). I’m a boy mom. I have a 14 (almost 15) year old, a 2 year old, and pregnant with another boy. Destined to be a boy mom I guess lol. But that’s completely okay because I see my friends with girls and just know that boys are easier. They still present difficulties and challenges, but it’s definitely on a different level. We’ve seemed to always struggle with my teenagers hygiene. Even at almost 15 we constantly remind him to brush his teeth in the morning and night. And adding on the reminder to wear deodorant and the importance of it especially at this age. However he struggles with ADD and is currently on a low dose of medication to manage it. We’ve recently had challenges with mental health and he was recently diagnosed with depression. We got him into therapy, but he feels as though he doesn’t need it. He’s definitely presented us with many challenges, more so in the last two years. I can’t wait to read your book! I hope it gives me great insight because I still have a long journey ahead of me as a boy mom. My two year old sometimes has it more together than my teenager lol. Hey Monica- I thought of another concern-especially for my driven first born. I’d like my sons to be able to join sports, social events, youth group, etc. but also learn to leave time for rest and downtime. It is important to be part of things and take advantage of opportunities, but also to be content resting and relaxing. Also, I want to raise boys who continue to make time for family time and enjoy it! I am a mom of 3 girls and one boy. He has certainly learned a lot about girls from his 2 older sisters. And now at 17 decided to join the National Guard his junior year of HS. I could not be more proud of the man he is. When my son was about 12, well puberty hit along with just plain smelly boy. It was a fight every other day just to get a decent shower, not just a quick rinse. And wearing deodorant was even worse. In comes my older daughters friend…… a pretty girl who had been around all his life. So I asked her to talk to him about how girls like clean guys, they smell nice, wear clean clothes and deodorant. So we went on a car ride to the store or somewhere. It was all I could do not to chime in on the conversation in the back seat. Well I’ll be damned if the next day that boy didn’t take 3 showers. One in the morning, one afterschool AND one before bed. ok…… calm down……. they were not long enough to be “those” kind of showers. Just enough to get clean and smell nice for the girlies!!!!! Enlist the help of a nice girl anytime you need a boy to do something or change a bad habit!!!! Great news! Glad you are finishing up soon with your manuscript. I am also on a hectic schedule to do the same. Your boys are adorable! 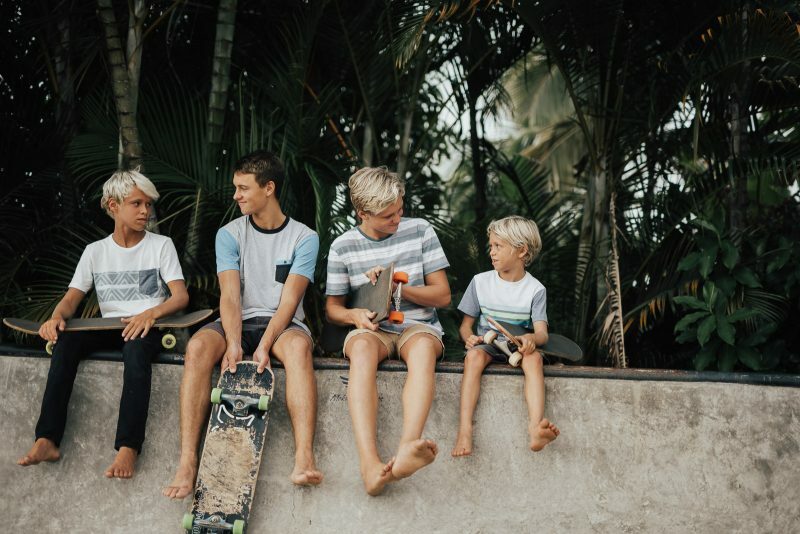 I’m a boymom of 4 boys, too, though my boys are a few years behind yours, they’re ages 3 months – 9 years old. I just recently found your site from the sugar fast group and am getting ready to read your book – I’m so excited! It seems we have a lot in common as I also struggle/ed with food! I am a mom of 3 boys and 1 girl. 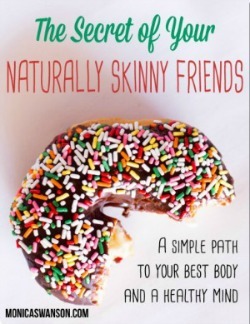 A healthy lifestyle is one that involves friends. From the beginning of nurturing and helping them grow I’ve always told them to keep friends around them who are positive and truly good people. In the beginning it was easy, because I was the one setting up the playdates. During this time I would have lots of conversation about their interactions and would try to be positive and give them tools to become a good friend themselves. Give them direction to problem solve and to think about othes feelings. As each got older it was important for our conversations to continue and encourage them to find friends who thinks about others and considers others before themselves. Someone who has a strong relationships with their own family. A friend is someone who respects others and themselves. A friend believes in a higher being, they don’t have to attend the same church or have the exact same beliefs, but they do belief that there is something greater than us that gives us a true meaning. Trying to install the essential thought of what a healthy friendship really is. A give and take. A support system. A real voice that keeps you on the right path and also one that you help manuver thru rough waters. Conversation is also very essential. I don’t believe a healthy relationship in children will grow without constant conversation. I can’t wait till your book comes out. I know it will be amazing and I know I will find great pieces of advice to continue to help raise my own children. God bless you. Hi Monica! Such a good topic, and so timely as my 9 year old and I have been in bed for two days with a bad virus!!! We take the “everything in moderation” approach with our diets… Do you want chocolate? Soda? Cupcakes? Ok, pick ONE! And, even though it’s more expensive to do so, when we indulge in something like an ice cream cone, we make an event out of it rather than bring a whole gallon of ice cream Home! We try to get time outside daily and aim for at least one day a week at a local park playing with other kiddos! As homeschoolers, we turn cooking into science regularly, and we (especially my 13 year old) love to see how we can “trick” ourselves into thinking it’s a special treat, when it’s really healthy! I think that modeling for them is most important. None of this “do as I say, not as I do” stuff. Because, they’re watching. They watch what you eat, how you spend your time, how you treat your spouse, how you treat them… they’re watching…. Having two boys was a challenge for me, in that, as an early riser/planner, I found it difficult to relate to these two creatures who wanted to stay up late and sleep until their bodies naturally came awake. Thankfully we homeschooled and I could allow them a little bit of freedom as they became teens, but I never felt they were truly getting the sleep they needed. At one point, my oldest came down with Mono due to being exhausted. Eventually, my oldest started working and was required to get up earlier and the younger one is still working on changing his habits, but I guess the one thing I’ve learned is that when they have to rise early, they can. But, I do think it’s important for parents to be informed on how much sleep is vital to their health. Also, in response to depression – I found that during the middle school/high school days, especially before they can drive – it’s very common for kids to feel left out or even isolated. I tried to take notice of my boys and their interaction with friends. I made sure we got out of the house at least every other day or every few days and had things to look forward to. Everyone needs a reason to get up in the morning and kids are no exception. It’s imperative that kids have a greater purpose than just doing academics day in and day out. They need something to get excited about. Thanks for great content, Monica! I’m excited about your book! I’m really looking forward to your book. I have two boys aged 5 and 3 (almost 4). They only 15 months apart and very close- but also bicker/ fight a lot over toys or… anything. I’d love some insight into the male sibling relationship – I have 2 sisters and my husband is an only child! Another thing on my mind- my husband is a resident doctor, and therefore is not home very much. I’d love your insight on how to maximize our precious times together as a family. Okay one more and I’m done 🙂 Health – my older son is SO difficult to feed. He is also very sensitive and can melt down easily. I think these things are related – if he doesn’t eat very much at a meal he doesn’t “like” he’ll be cranky until he gets a meal he does ( and eats more). Any advice? It frustrates me because I love all food and am an adventurous eater but I end up having to make bland meals so he will eat it! I shared to a couple of our parenting Pinterest boards! I have 3 boys, so I am excited for your book. Mine are 20, 17, and 13. I love your site and your videos including your sons. I have one son, 13 and we’ve always homeschooled. Regarding all aspects of health, I have found that if I am transparent with my flaws, mistakes and am quick to apologize and speak the truth, always the truth, I gain his trust. If I generously share my love with much affection, time, interest, encouragement he’s more willing to listen and accommodate choices and suggestions for his health, whether that be having a well balanced day, eating healthy, taking vitamins that might not be so tasty, trying natural ways to heal a sickness, or talking about a hard topic with me. He knows he can trust me and I’ve already been transparent about my life. God is blessing our relationship. Hope that helps! I’m eager for your book! We have 3 boys (12,9,8) and I girl (11). When it comes to health it’s all about modeling with actions to back up words. I’m lucky in that I am naturally active and love running, playing soccer, hiking, camping, etc. So from when my kids were months old they were out on runs or walks in the jogger (had a triple at one point). I know not every mom is naturally inclined in this way but pushing yourself to explore the outdoors really is the best way to help your kids fall in love with nature. We were super poor when our kids were young so indoor jump parks, etc. simply weren’t an option. I do body circuits and light weight routines at home and often a kid will join me, but I don’t require it. Mostly I want the to see how staying fit is possible without a lot of money and programs (although programs can be great and we love organized sports). Food is the same. I’ve always tried to be moderate and balanced and expose them to lots of different food. Thankfully none of us have any major food aversions or allergies. I love your approach to food, Monica, and it reflects the lessons I learned after being a competitive athlete in college trying to eat way too low-fat a diet without meat. Diet consumed me too much back then. Mental, spiritual and emotional health are wrapped up in a strong supportive community, which for us comes through an amazing church, homeschool co-op, and sports teams. My husband and I try to invest in the communities we value through service and the payoff has been huge. We’ve all gained from the network of community we’re a part of. Because I have the added benefit of homeschooling our kids I do a ton of reading with them and listening to audio books. These have introduced us to so many amazing topics that can be naturally discussed. We’ve also tried to be intentional about reading books (“Good Picture, Bad Picture) and discuss hard topics together so they feel more natural to return to as the topics become more complicated. Reading biographies to our kids (love Christian Heroes: Then and Now by Janet and Geoff Benge) have been super powerful and force us to see outside our modern bubble. Parenting is not easy and there are no formulas that always work. I’ve often joked that God gave us four kids to keep us humble. The perspective I try to keep is moderation in all things (which to me means being flexible to over-focus on one area when necessary in order to bring it back to health). I am 41 and continue to read books that challenge me to grow and understand myself and others better. I just finished reading “The Road Back to You: An Enneagram Journey to Self-Discovery”. There were some really great insights and I pulled a few of my kids aside at different times to read passages and talk. Finally, and this obviously fits into spiritual too – pray together, especially about hard issues and decisions. Our family just finished a 9 month journey searching for a new home (my mom has lived with us for 6 years, was suppose to be temporary, but is obviously going to be long-term so a move was needed). We took kids to look at most houses, talked about priorities and wants, got really emotional and heated when we disagreed, but in the end found a place that, while not perfect, is what we’ve been looking for for this next phase of life. One of our kids is having a really hard time with change and giving him space to vent and get mad has been healthy, but also telling him he needs to make the best of it once we do move and see how much better this is for Grandma is important too. We also had two friends die of cancer in the last two months who we’d been praying for over the last 3 years. This really impacted our talks about life, heaven, and prayer. Life is messy and hard but so much easier to accept when we can talk openly and surrender control to our Creator. Okay, that was way longer than I meant to write on my phone!! My oldest boy 9 seems to not believe me when I tell him he stinks. we tried to be nice, reminding him to shower often and wear deodorant but now I just gotta get real “Seriously, you stink!” Why wouldn’t he believe me?? I guess he will wait until someone bugs him at school. My second born is seriously part golden retriever. The more people in the room the crazier he gets. Brushing his teeth is no different. I can’t keep his head still. And his tongue follows the toothbrush. Just picture trying to brush a dog’s teeth, He is super sensitive so things like brushing teeth, water in the eyes when washing hair (but not when swimming, huh), and haircuts are just too much for him. He has to get gas when he goes to the dentist because it’s just all too much. God give him good teeth! At bedtime my 9 and 7 year old do push-ups and sit-ups and burpees then they show off their cute little muscles (I call them scoops of ice cream). They love burpees! They totally helped through a one month burpee challenge. It makes me look forward to when they are older. I will have my own personal trainers and accountability partners! If I can stand their stinkiness. Maybe my oldest will begin to see the value of deodorant by then. Hi Monica! I have 4 boys, 10y – 8m. On the topics of health, I would say that they alllll bite their nails ( ok, not the 8 month old). My oldest does it all the time, in public, and recently he was annoyed by a hangnail on his big toe and bruised it so badly, it was throbbing all night! I think he did learn a lesson that night though. I wonder if that’s anxiety or boredom or generally they don’t like the feel of their nails. No idea. On social health, my oldest is super loud and kind of obnoxious. He interrupts and really wants his friends to do games and play his way. If they don’t he doesn’t want to play anymore. We talk through this a lot. He does do it their way first and then insists they do it his way but they rarely listen. Then he gets even more upset because he felt generous at first and wasn’t given the same consideration he gave them. Also socially, my kids run their mouths when entering rooms. They don’t look to see what is going on- conversations, phone calls, quiet times. Again we go over this constantly but ugh. It never seems to get better. And when we have friends over, it completely escalates. They think they can do anything when people come over and all of our instruction flies out the window. So I feel like the entire visit I am correcting them and it just can’t be any fun for our guests. Those are things off the top of my head I can’t think of right now! Looking forward to your book!